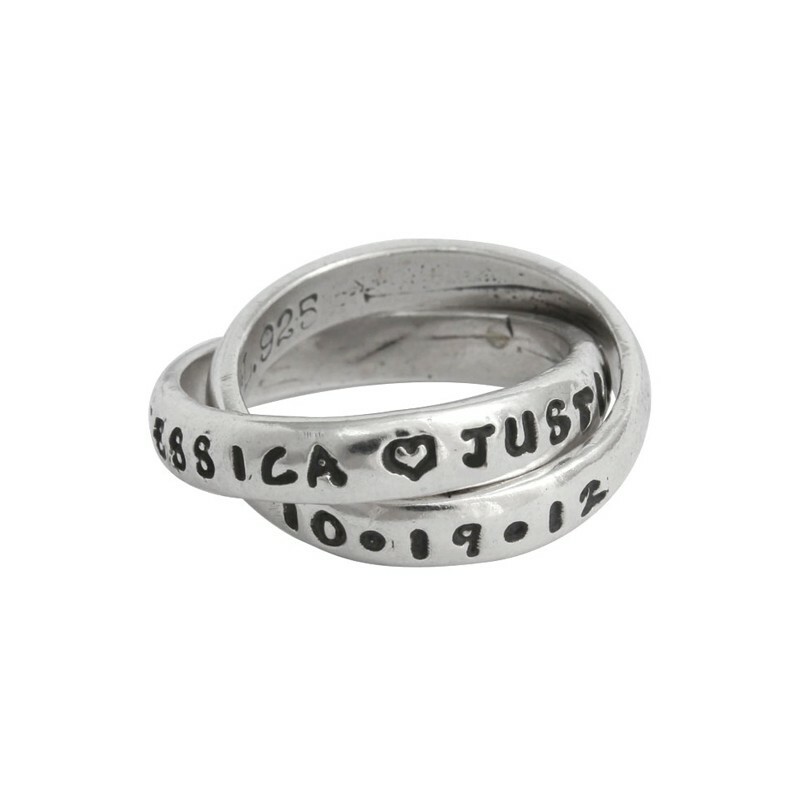 Two interlocking silver bands symbolize the bond two people have forever. 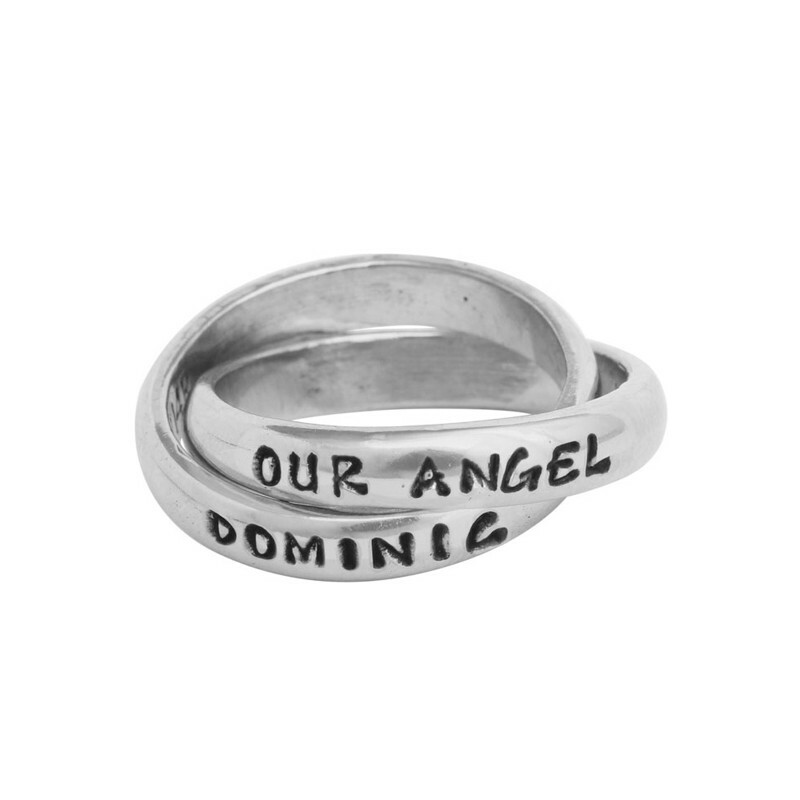 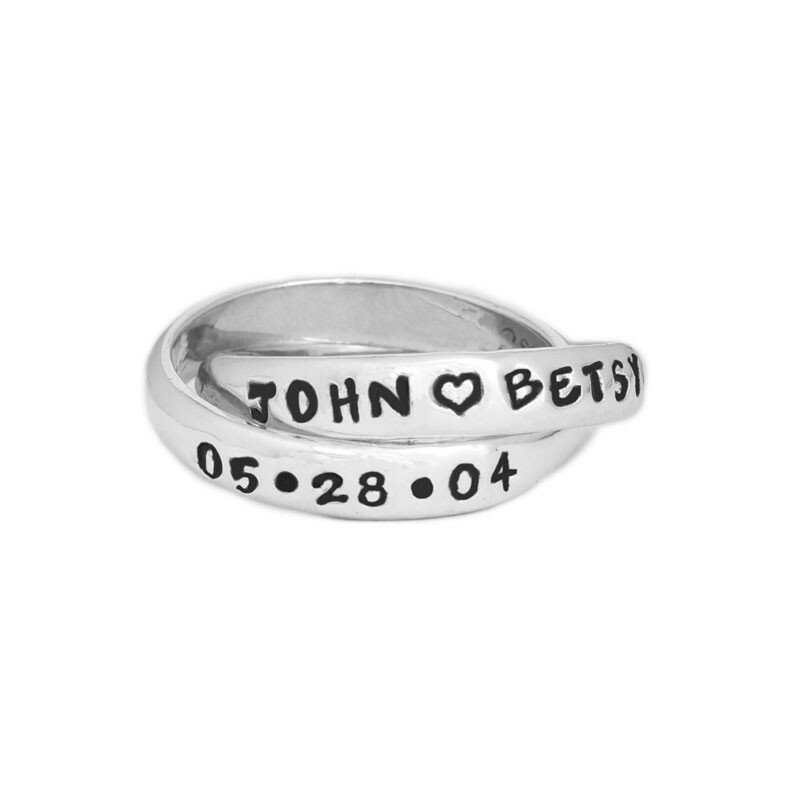 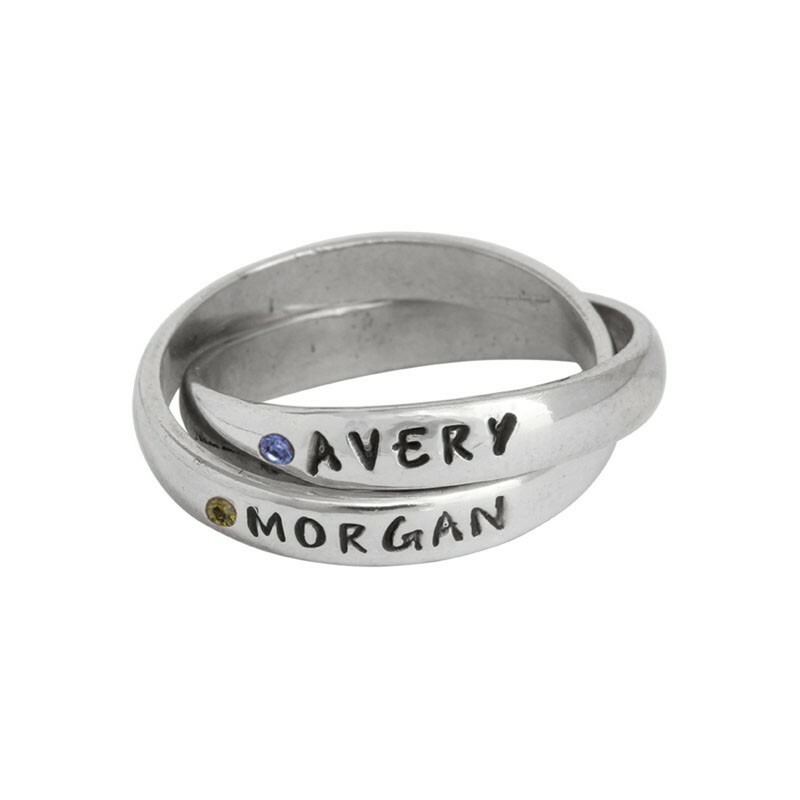 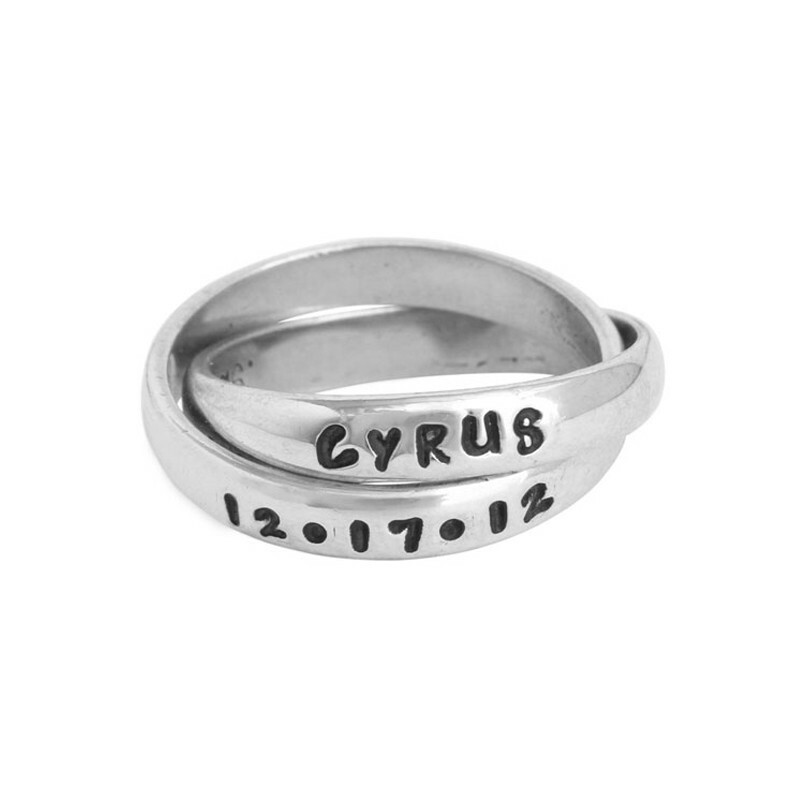 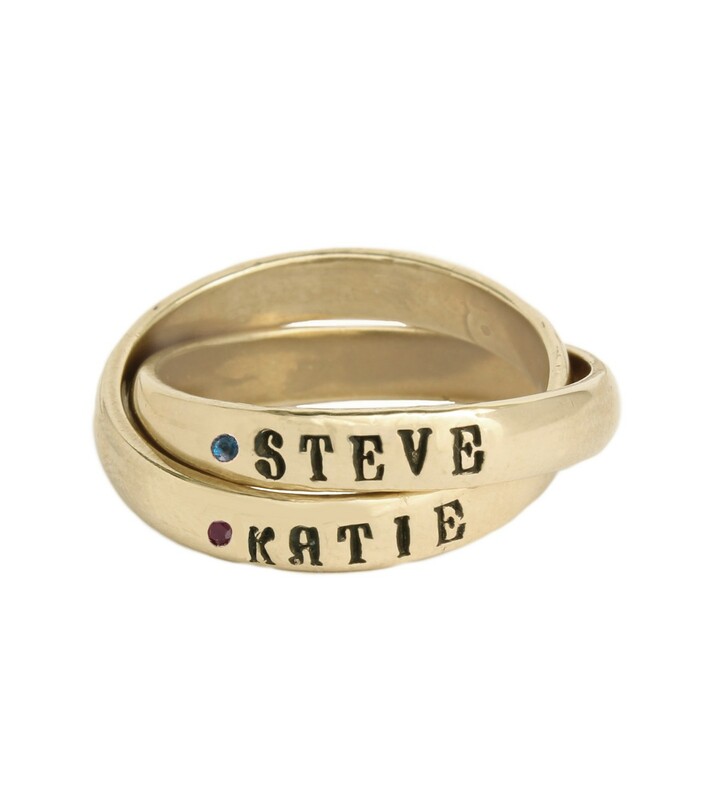 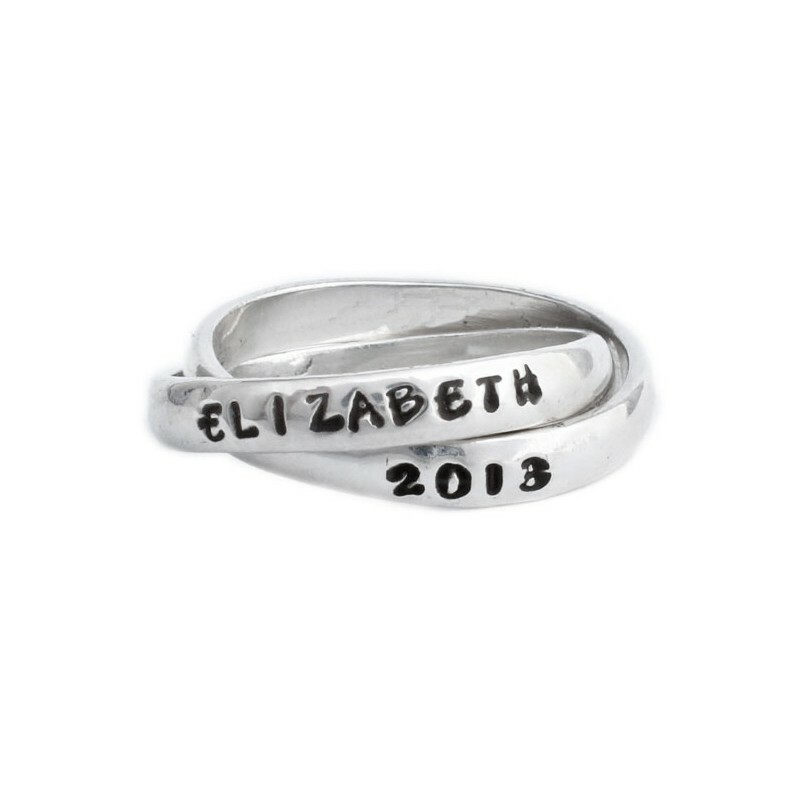 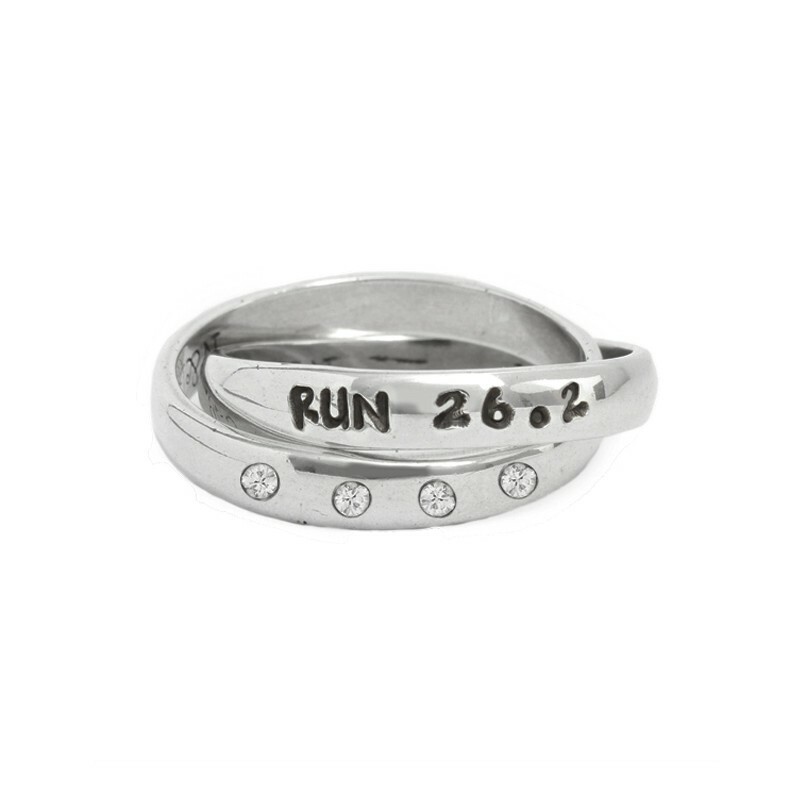 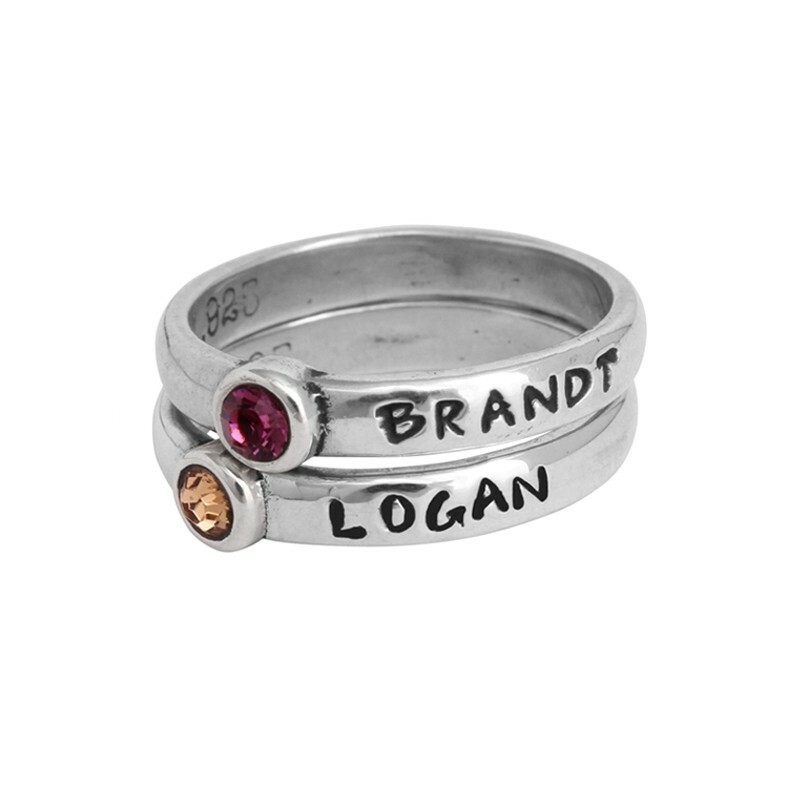 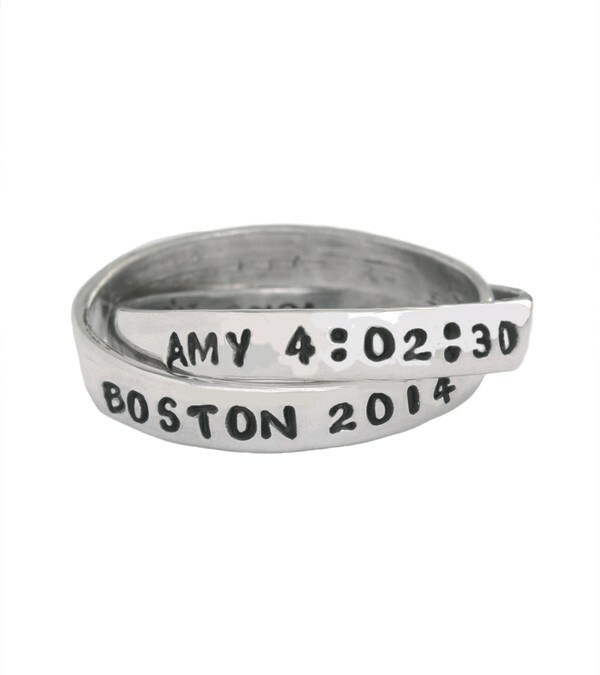 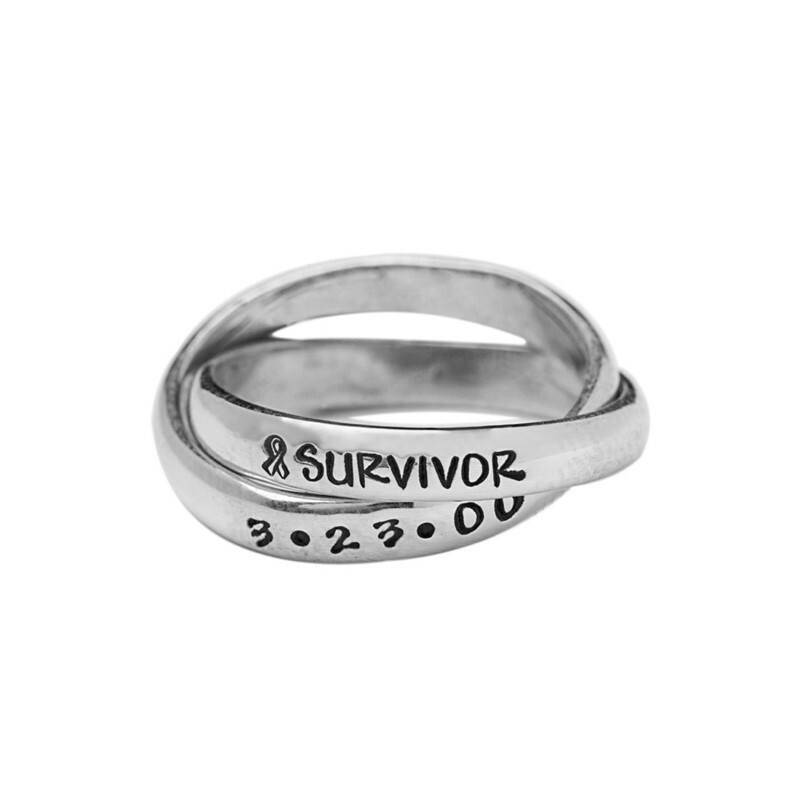 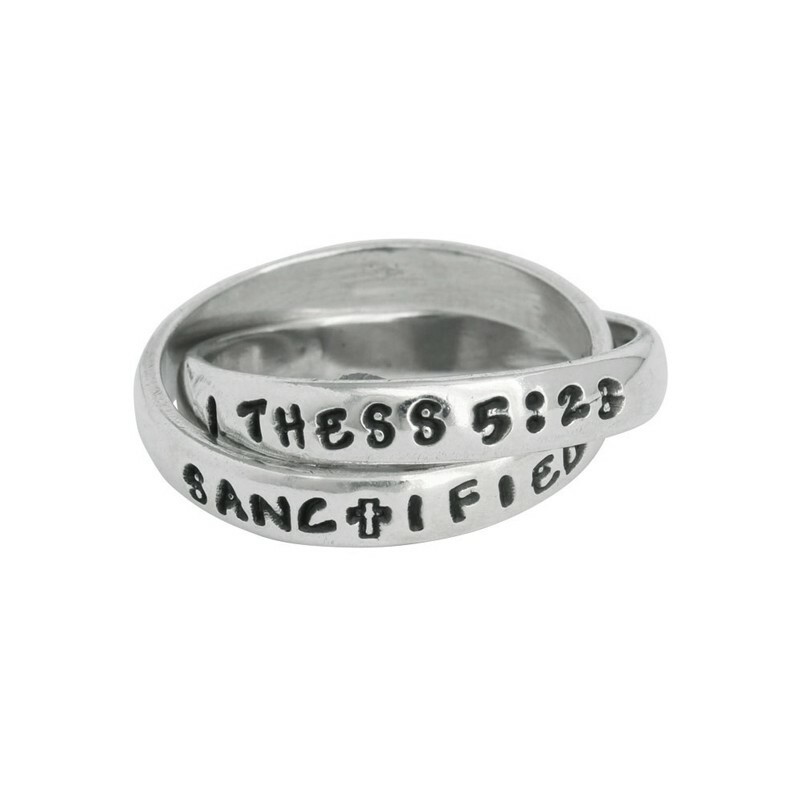 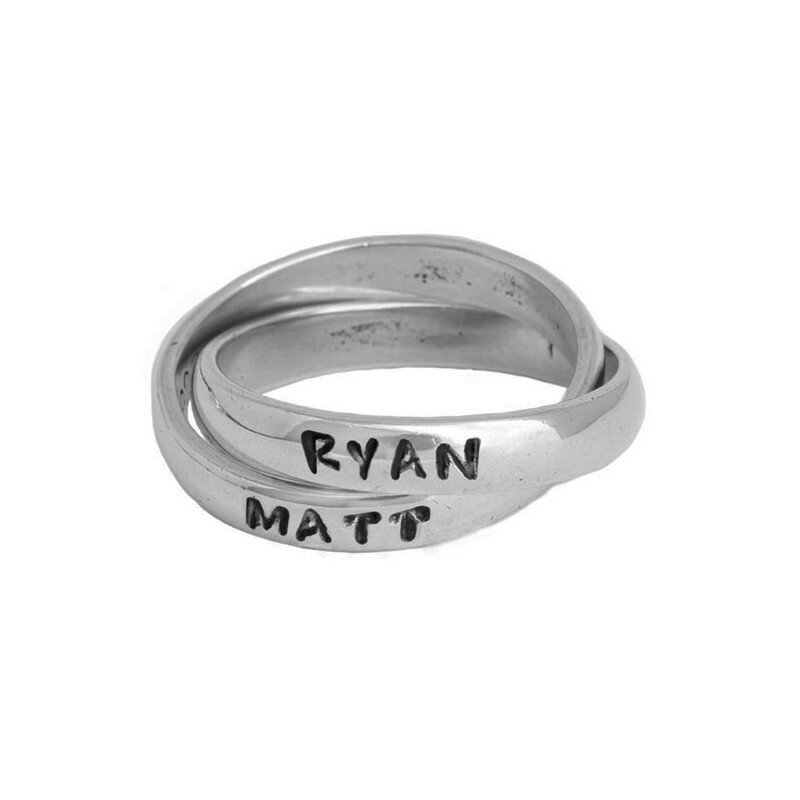 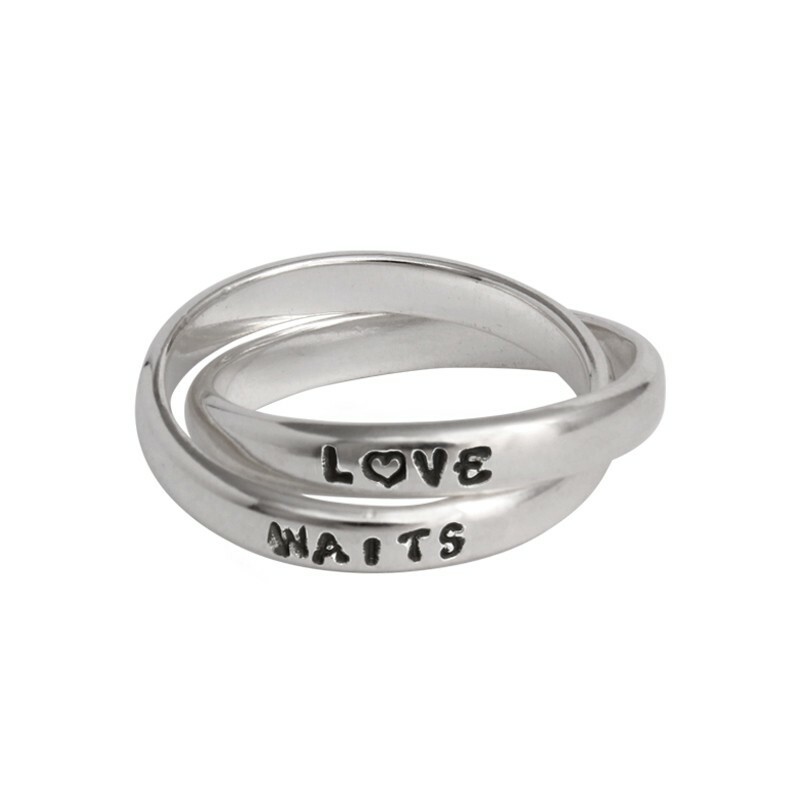 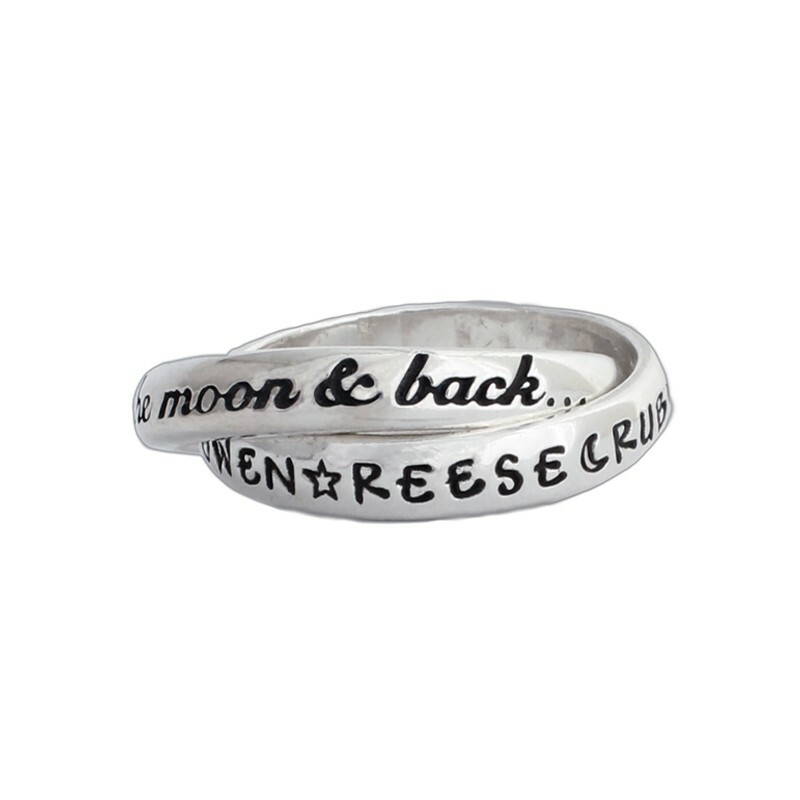 Children's names, couples names, encouraging words, dates or bible verses can be stamped on each band to create your own personalized ring. 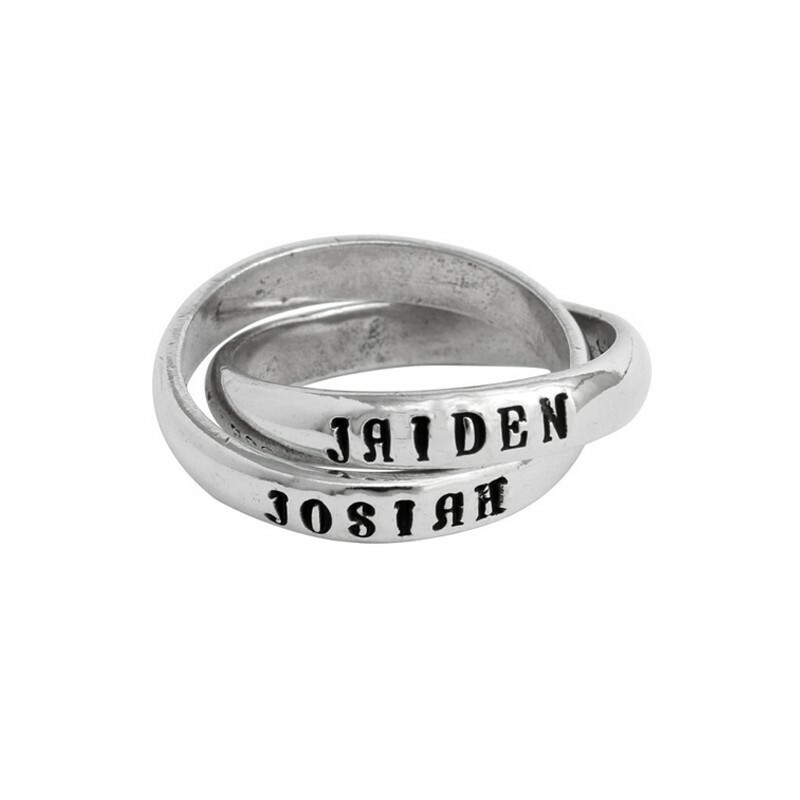 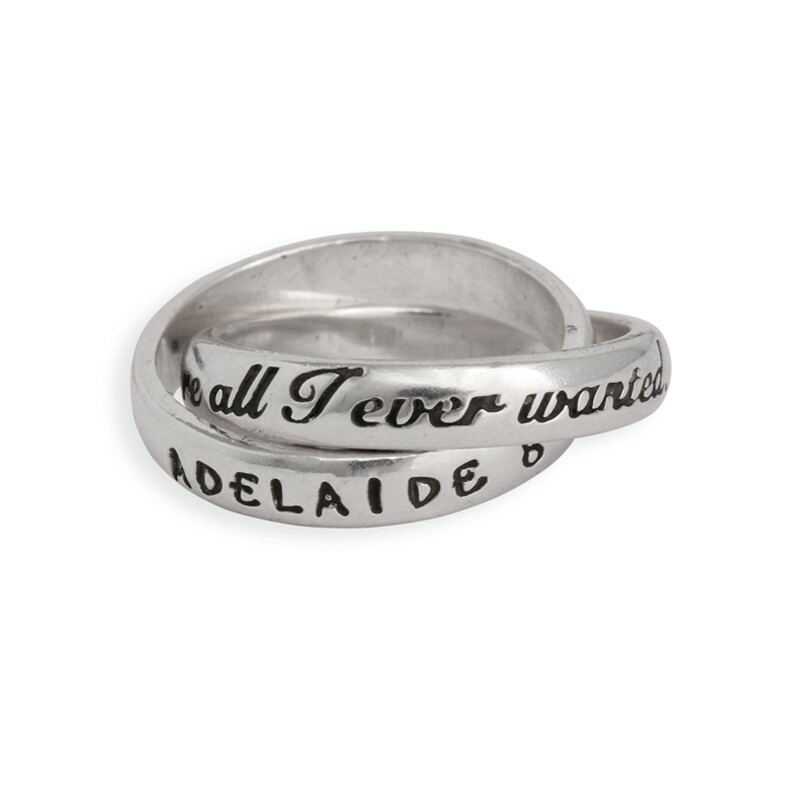 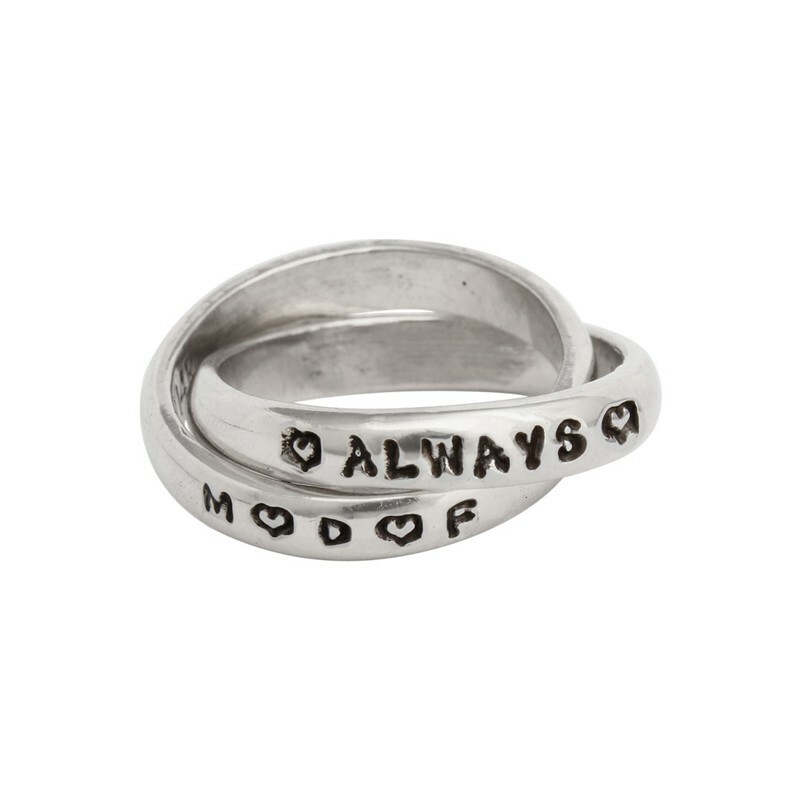 The sterling silver rolling rings will last a lifetime and always remind you of your special bond.